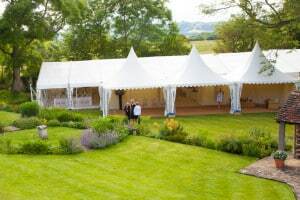 Toilet and washroom facilities are essential for every event. 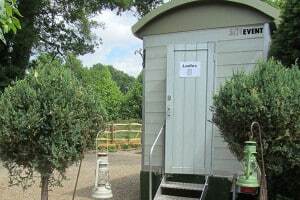 We offer luxury mobile toilet options to complement the quality of your marquee. 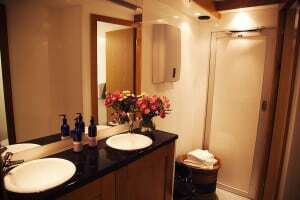 We have a variety of solutions of luxury toilet trailers available in many different configurations and sizes. 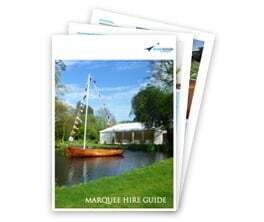 They can be standalone, or integrated into your marquee – especially useful for unpredictable weather. 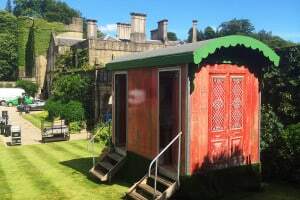 We also have a unique range of themed toilet trailers which add a little extra twist to your party experience. 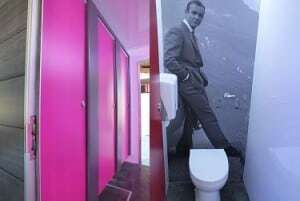 We will calculate your washroom requirements relative to the number of guests and length of your event. 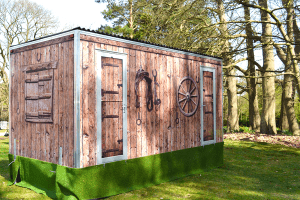 Individual modular units that can be built within a marquee to provide exactly the right number of cubicles and washbasins to suit your requirements. They are constructed out of solid oak and high gloss laminates to provide a modern and contemporary feel with electric taps and the latest vacuum technology. Requires water and power supply. 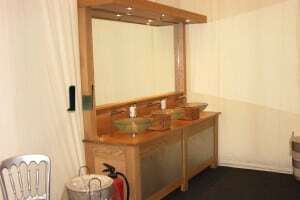 Self-contained re-circulating, luxury toilet trailer units featuring a modern bright interior design with oak cabinets, black marble-effect worktops, large mirrors, LED down lighters and Chrome taps. All units have heaters and music for that extra touch. Requires mains power supply. 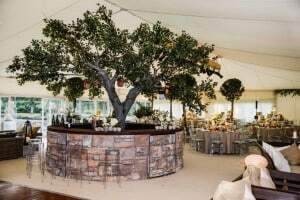 Stylish, modern and fun, our boutique range provides an elegant facility to complement your event. Crafted in beautiful dark oak with stylish lighting and a high finish. These are completely self contained and required just 13amp power.